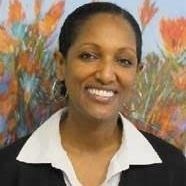 Ikram began her insurance career with 20th Century Insurance in Woodland Hills, CA. Following 20th Century, she worked for The Republic Group and she co-founded and operated a small Independent Adjusting firm. Ikram joined Union Standard Insurance Group (a Berkley Company) in 2009 as a property claims representative. She quickly rose in the ranks to be a Claims Manager in 2010 and in 2015; she was promoted to Director of Property Claims. Ikram attended the University of California at Berkeley where she graduated with a Bachelor’s degree in Architecture, and earned a Masters in Finance (an MBA) from University of North Texas. In addition, she holds a CPCU professional designation and is an active Board member of the Dallas Claims Association. In her personal time, Ikram enjoys spending time with her three wonderful children and husband at soccer games and ballet.